Oliver Riot–comprised of twin brothers Benjamin and Alexander Moore–are steadily making waves in the music scene with a string of accomplishments and upcoming features including: performances with Frenship, Benjamin Leftwich, and Kevin Garrett; performances on Balcony TV Hollywood and SoFar Sounds LA, coverage from KCRW, BBC Radio 1, EARMILK, Indie Shuffle, Nylon, and many more; their second single “Hallucinate” was featured in the E! Network series, Royals, and their tracks have already accumulated over 10 Million plays on Spotify alone including their first single, Ivory Black which reached 1 million plus plays alone. The music was recently featured on Riot Games, League of Legends championship video which got an estimated 15 million views. They have played to pack rooms at prestigious Hollywood venues including The Resident and Itsaschoolnight at Bardot. They have been featured on Sofar sounds twice and played the Gibson showroom events as their new addition. The identical twins originally from New Mexico spent their youth busking bars, breweries, and street corners, performing gypsy music in the style of Django Reinhardt before moving to Los Angeles. 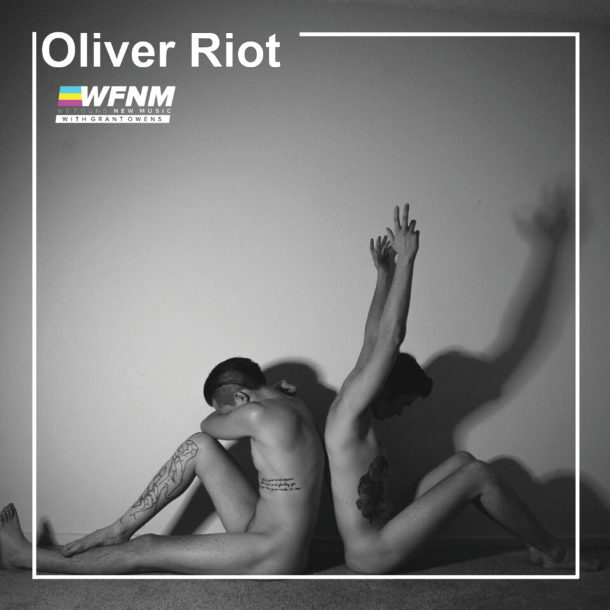 Shortly following their move, Oliver Riot took home first place in the Grammy’s annual “Rock The Mic Competition”, showcasing emerging California artists, and were awarded studio time with legendary producer, Mike Clink (Guns N’ Roses, Eddie Money, Metallica, etc.). On November 14th, 2015 Oliver Riot released their debut EP, Hallucinate, produced in its entirety by accomplice “Real Miilk” in the back room of a 200 year old church in Los Angeles. Alexander lived in his van parked outside of the church while creating Hallucinate; currently, the duo has moved from the church, purchasing their first house in LA. The twins recently released their second highly anticipated EP, Neurosis, which has been creating quite the buzz, featured frequently on LA’s legendary radio station KCRW and re-tweeted by celebrities such as Chloe Grace Moretz. They are in studio working on their third release.